Click on the link below to jump directly to a section of this page. All member newspapers of the New York News Publishers Association are eligible to enter. The contest is sponsored by the New York News Publishers Association. The contest is designed to: encourage continuing excellence in newspaper service; suitably reward excellence in various categories of news, editorial, and photographic presentation; and benefit the public relations of newspapers. First place will be awarded in each of 23 categories in five circulation classes to those NYNPA member newspapers whose entries have demonstrated editorial and/or photographic excellence. Fees collected are used to defray costs associated with administering the contest. Where the rules of a category require, or present the option of, submitting more than one piece (Ex. Distinguished Community Service), all pieces submitted in that category will count as a single entry. Fees may be paid via check or with credit card via PayPal. Each newspaper is allowed to enter a maximum of four (4) entries per category, and may enter a given entry in any or all of the listed categories for which it qualifies. Each newspaper must designate a “Contestant Manager” who will be responsible for managing all entries and adding other "Authorized Entrants" for that paper. If your paper did not participate in last year’s contest, the first person who logs in to the contest website from your newspaper should be your paper's Contestant Manager, as he or she will have full control over all entries and adding additional users for your paper. After that person has uploaded two entries he/she will be recognized by the website as the Contestant Manager and asked to verify his/her role via e-mail. Once the Contestant Manager has been verified he/she will be able to add Authorized Entrants who can also upload, edit, and delete entries for your paper. Select your newspaper under "Media Organization"
Enter either your existing password (if registered last year) or the temporary password of “bnc” (if new to the contest). Enter or confirm your information, then submit your entries online as PDFs, JPEGs, URLs, or Microsoft Word documents. After submitting all entries for the contest online the Contestant Manager must fill out the contest entry form on the back cover of this booklet (also available for download at www.nynpa.com/docs/entryform2018.pdf) and mail it to NYNPA with one check to cover the full amount of all entries being submitted by that newspaper, or with a copy of a payment receipt from PayPal. All entries must be received no later than Monday, March 18, 2019 at 5:00 p.m. No entries will be accepted after the deadline. A corresponding entry form and accompanying payment or proof of payment via PayPal must be received by NYNPA no later than Monday, March 25, 2019 at 5:00 p.m. Winners will be notified by mail in May 2019 and invited to attend the annual awards ceremony, where the official announcements will take place. Winners of the 2018 NYNPA Awards for Excellence will be honored at The Hearst Media Center located at 645 Albany Shaker Road, Albany, NY 12211 on Wednesday, July 17, 2019 from 6:30 to 10:00 PM. Submissions should demonstrate effective newspaper response to deadline demands. Submissions may consist of a single story or a group of stories by one or more reporters relating to the same event. Submissions should demonstrate clarity, thoroughness, balance, and aggressiveness in the coverage of local spot news. Submissions should demonstrate effective newspaper response to deadline demands as related to live sporting events. Submissions may consist of a single story or a group of stories by one or more reporters relating to the same event. Submissions should demonstrate clarity, thoroughness, balance, and aggressiveness in the coverage of local live sports. Submissions should demonstrate thorough, thoughtful, fair, and resourceful reporting of local stories that reveal corruption or malfeasance or inherent flaws in the functioning of society's institutions, and/or stories that effectively measure the performance of those institutions against their stated missions. Submissions may consist of a single story or a group of stories by one or more reporters relating to the same event. Submissions should demonstrate effective newspaper coverage of business and the economy, skillful investigative reporting and excellence in writing style, editing, display and other pertinent criteria. The subject matter should deal primarily with how business and economic events relate to individuals and the newspaper's community. In this category, a submission may be one or more articles from the same edition relating to the same story, or a series of articles on a common subject running on different days. Submissions should demonstrate sustained and knowledgeable coverage of a particular subject or activity of local interest. Submissions should be a series of no more than five reports on the same subject or activity by the same writer. Submissions should demonstrate a genuine concern for local community problems; courage in taking a position regardless of the popular view and/or against own self-interest; originality of viewpoint and style; and other pertinent criteria. Each submission must be a local editorial. One or more editorials by the same writer on the same subject may be submitted to this category. Submissions should showcase good writing in non-deadline situations. Submissions may include personality profiles, trend stories, narratives and general features. Submissions should demonstrate style, originality and the ability to make readers laugh, cry or feel. Submissions may consist of a single story or a series of stories from one or more editions relating to the same subject. Submissions should demonstrate effective coverage of the people, institutions or trends in the local sports community employing thorough, thoughtful, fair, and resourceful reporting as well as quality writing. Submissions may consist of a single story or a group of stories by one or more reporters relating to the same topic. Submissions should demonstrate originality, insight, wit, the capacity to illuminate character, and the capacity to enhance the reader's understanding of persons and events in the community served by the newspaper. Submissions may be a single column or a body of work by the same writer up to a maximum of five columns. Submissions should demonstrate originality, insight, wit, the capacity to illuminate character, and the capacity to enhance the reader’s understanding of persons and events in local or national sports. Submissions may be a single body of work by the same writer up to a maximum of five columns. Submissions should demonstrate clarity, creativity, and the capacity to distill and capture the essence of the story. Single submissions only will be accepted in this category. Submissions (in this category a submission may be a series of articles and/or editorials on a common subject) should demonstrate effort and effect on the part of the local newspaper toward the improvement of the community served, as well as an effort on the newspaper’s part to engage the community through both traditional and new media. Submissions should demonstrate effective newspaper coverage of state government as manifested in service to the community; skillful investigative reporting and excellence in writing style, editing, display, and other pertinent criteria. The subject matter should deal primarily with an aspect of state government - the legislature, executive branch, a specific state agency, etc. - and how it relates to the community. In this category, a submission may be one or more articles from the same edition relating to the same story, or a series of articles on a common subject running on different days. Submissions should demonstrate strong visual appeal, style and originality; and should enhance the written content, making it easy to understand or navigate. Submissions may be a single page or a body of work designed by the same person, up to a maximum of three examples. If submitting a series, up to three days' editions may be included. Submissions should demonstrate news value, timeliness, communicative effectiveness, and skill as shown in composition and technical quality. A submission may be one or more photographs from one or more editions relating to the same news event. Submissions should demonstrate imagination in the handling of feature subjects; communicative effectiveness; appeal to reader interest; and skill in composition, technical quality, and cropping. A submission may be one or more photographs from one or more editions relating to the same feature subject. Submissions should sharply capture the drama inherent in human athletic competition and draw the reader's eye to peak action, capturing the moment and communicating it on an emotional level with a high degree of technical skill, composition and quality. A submission may be one or more photographs from one or more editions relating to the same subject. Submissions should consist of a series of photographs which appeared on a newspaper’s website in a single gallery. Submissions should enhance the story to which the gallery is attached, while demonstrating the highest standards of photojournalism. Submissions should demonstrate timeliness, originality, insight, reader interaction and the capacity to enhance the reader's understanding of persons and events in the community served by the newspaper. Submissions may be a single day's blog entry or entries, or a series of blog entries over the course of the year by the same writer, with a maximum of ten entries. Submissions should demonstrate work that incorporates distinguished journalistic storytelling via media other than the print format. Submissions may consist of web-based interactive graphics and displays, videos, photo galleries and audio slideshows, or any combination of all of these elements. Creativity, ease-of-use for the website visitor, impact on the community and overall technical execution will be among factors considered by the judges. Submissions should demonstrate imaginative layout and design; creative use of headlines; solid, staff-written articles; and high-quality photos relating to a breaking news event. Submissions should also demonstrate knowledge of and connection with the newspaper’s community, and must contain primarily locally-produced content. Submissions may be one example of a regularly-produced weekly supplement, or a one-time supplement or publication. Submissions should demonstrate imaginative layout and design; creative use of headlines; solid, staff-written articles; and high-quality photos relating to a local or national sporting event. Submissions should also demonstrate knowledge of and connection with the newspaper’s community, and must contain primarily locally-produced content. Submissions may be one example of a regularly-produced weekly supplement, or a one-time supplement or publication. Submissions should demonstrate imaginative layout and design; creative use of headlines; solid, staff-written articles; and high-quality photos relating to a common feature. Submissions should also demonstrate knowledge of and connection with the newspaper’s community, and must contain primarily locally-produced content. Submissions may be one example of a regularly-produced weekly supplement, or a one-time supplement or publication. The New York News Publishers Association has announced the winners of its 2017 Awards for Excellence competition. This year’s winners were officially recognized at the 2018 Continuing Excellence Banquet and Reception on Wednesday, July 18 at the Hearst Media Center at 645 Albany Shaker Road, Albany. The annual contest recognizes journalistic excellence among the association’s member newspapers. This year, contest judges selected winners from 399 entries submitted by 24 New York state daily newspapers. The New York News Publishers Association has announced the winners of its 2016 Awards for Excellence competition. This year’s winners were officially recognized at the 2017 Continuing Excellence Banquet and Reception on Wednesday, July 19 at The State Room in Albany. This year, contest judges selected winners from 436 entries submitted by 23 New York State daily newspapers. The New York News Publishers Association has announced the winners of its 2015 Awards for Excellence competition. This year’s winners were officially recognized at the 2016 Continuing Excellence Banquet and Reception on Wednesday, July 20 at The State Room in Albany. This year, contest judges selected winners from 482 entries submitted by 26 New York State daily newspapers. The New York News Publishers Association has announced the winners of its 2013-2014 Awards for Excellence competition. This year’s winners were officially recognized at the Continuing Excellence Banquet and Reception on Wednesday, July 22 at The State Room in Albany. This year, contest judges selected winners from 480 entries submitted by 28 New York State daily newspapers. Once again, the Poughkeepsie Journal was the biggest winner of the competition, taking home 14 awards in the 25,000-49,999 circulation group. Other big winners of the contest included Newsday (12 awards in Over 175,000), the Press-Republican in Plattsburgh (11 awards in 10,000-24,999), The Post-Standard in Syracuse (8 awards in 50,000-175,000) and the Finger Lakes Times in Geneva (7 awards in 10,000-24,999). 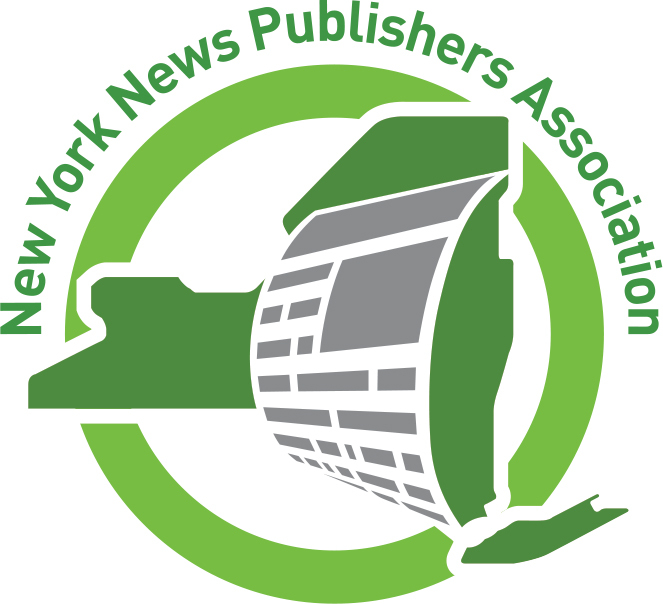 Additionally, four people were honored with NYNPA’s John Peter Zenger Award, which recognizes individuals who demonstrate an unyielding dedication to freedom of the press in the state of New York. The 2015 honorees were Donna Donovan, Lisa Robert Lewis, Barbara Lombardo and Barry Rothfeld. The New York News Publishers Association has announced the winners of its 2012-2013 Awards for Excellence competition. This year’s winners were officially recognized at the Continuing Excellence Banquet and Reception on Wednesday, April 9 at The State Room in Albany. The annual contest recognizes journalistic excellence among the association’s member newspapers. The New York News Publishers Association has announced the winners of its 2011-2012 Awards for Excellence competition. This year’s winners were officially recognized at the Continuing Excellence Banquet and Reception on Wednesday, April 10, 2013 at The State Room in Albany. The annual contest recognizes journalistic excellence among the association’s member newspapers. The New York News Publishers Association has announced the winners of its 2010-2011 Awards for Excellence competition. This year’s winners were officially recognized at the Continuing Excellence Banquet and Reception on Wednesday, April 11, 2012 at The State Room in Albany. The annual contest recognizes journalistic excellence among the association’s member newspapers. The New York News Publishers Association has announced the winners of its 2009-2010 Awards for Excellence competition. This year’s winners were officially recognized at the Continuing Excellence Banquet and Reception on Wednesday, April 13, 2011 at The State Room in Albany. The annual contest recognizes journalistic excellence among the association’s member newspapers. Each year, the New York News Publishers Association recognizes newspapers and their staff members for their hard work in service to the fine art of newspapering. The annual Awards for Excellence competition serves as a testament to the dedication of newspaper professionals to the highest ideals of the industry. NYNPA has announced the winners of its 2008-2009 Awards for Excellence competition. This year's winners were officially recognized at the Excellence Awards Dinner and Reception on Wednesday, April 28, 2010 at The State Room in Albany. Contest judges selected winners from 517 entries submitted by 29 New York State daily newspapers, and awards were presented in each of 19 categories within five circulation classes.